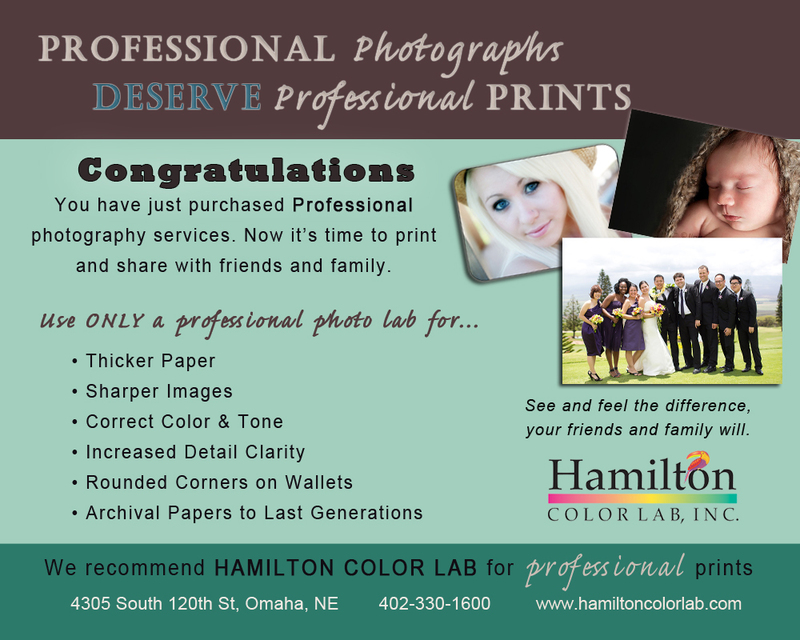 Professional photographers trust Hamilton Color Lab for all their printing needs. Locally owned and operated for over 35 years. But, you get them back and the color is all wrong and not what you expected. The skin tones are off, they are too yellow, too blue, too dark. What went wrong? This isn’t supposed to happen. Or maybe you’re a professional photographer and you just uploaded your finished senior portraits to a photo gallery. You then you go over to your clients house to show them their images on their computer. ARGHH!! They don’t look anything like your screen, and your client thinks her daughter/son looks too yellow and all washed out. We hear this at Hamilton Color on a regular basis, it’s not unusual and even professional photographers have this challenge. The problem is in the computer monitor and not your eye. Manufactures want computer monitor displays to look shiny, flashy, bright and snappy right out of the box. Without color calibration you risk over saturating, under exposing, editing too warm or too blue. Your photos may look dull, without pop and contrast. Why Do My Photos Look Different? Can you see all the various shades of white in the image below? On a perfectly calibrated monitor you can distinguish a faint border between the 254 box and the center. If your monitor is too bright, or your room too bright chances are you con’t tell the difference. You can also view shades of black to determine your ability to see shadows. Can you see the border line between 254 and the center? 2. Color of Light Hitting Screen: Does your room have a window, a sky light, no windows, incandescent lighting, tungsten, fluorescent? All of these play a factor on the type of lighting hitting your screen which will affect not only the tonal range, but also contrast. 3. Color Calibrate Monitor: there are many ways to calibrate your monitor, some are faster, some easier, some more expensive, and some more accurate. 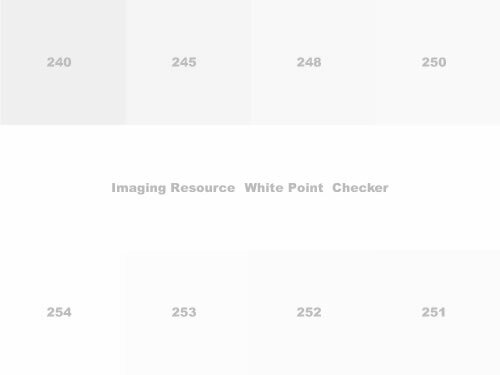 It’s not just about color, but also gamma reading, in the photography world, contrast. 4. 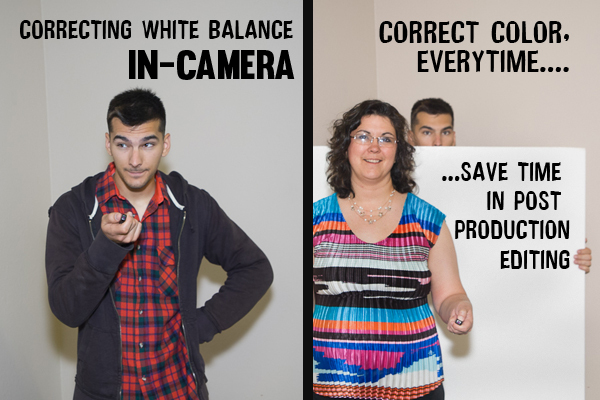 In Camera White Balance: Save time in post production! Sometimes the best type of editing is getting it right in the camera from the start. The photographic environment and the available lighting affects how the camera views color. Some lighting, such as the “golden hour” is highly desirable, but the yellow cast from a gymnasium floor or inside a church is not. Use a gray card for your photo shoot. In a pinch you can use a white piece of paper, index card, or a poster board. But a WhiBal card is a known quality. We all know white is not white. Don’t Forget, Shoot in RAW- regardless of your camera settings, if you do mess up your settings having the RAW files give you the flexibility to fix the white balance during the editing process. 5. ICC profile (Soft proofing): Each photo printing lab prints on different paper with a different printing process. Kodak paper has a tendency to print on the blue side and Fuji paper a little warmer. Ask your lab for an ICC profile, and when you upload note your files have already been soft proofed. 6. sRGB vs Adobe profile: sRGB is the standard in the photographic world in printing and the standard color space on the internet. Adobe RGB 1998 was created by Adobe for use in CMYK printers. It only uses approximately 50% of the color space and therefore your colors will come out dull and lifeless. 7. Choose a Quality Printing Lab: This goes without saying. Cheap prices normally use cheap printing processes, inks, dyes, paper, and chemicals. If you want quality prints do NOT use Snapfish. The same is true of one hour printing services. Many photo processors are going to “dry ink” printing which is just a step above home printing. Categories: Digital Prints, Professional Photographers | Tags: Adobe Photoshop, calibration, camera, computer monitor, Digital photography, digital prints, omaha, Omaha Nebraska, photo editing, photo printing, Photograph, Photography, photoshop, post production, printing, white balance | Permalink. Professional photographers spend a lot of time and money in getting the best color and quality to all the photos they take. It’s an art and a science to obtain the best skin tones and clarity. The finished result is one of pride and accomplishment. The last thing they want to do is see their work printed at store or lab that doesn’t color balance or calibrate their machines. Discount stores and one hour printers don’t use professional papers or sophisticated calibration programs on their processors. This often results in off color skin tones, blurring of detail and loss of clarity in images. That’s why professional photographers recommend Hamilton Color lab to all their clients to get the best prints possible. As a service for photographers we offer the above referral card, free, to place in your customer information packets and with their CD’s. These 4×5″ marketing piece is printed on the same Lustre paper as our high quality prints to showcase the quality and results of a print they would receive. If you would like to include these cards in your customer packets, you can pick up referral cards at Hamilton Color Lab located at 4305 South 120th St, Omaha NE (120th & I st)or request them to be mailed by filling out the form below. Categories: Digital Prints, Professional Photographers | Tags: business, camera, Color management, digital prints, marketing, nebraska, omaha, Photography, photos, Printers, printing | Permalink.